We're excited to congratulate 2012's keynote speaker and Tools 4 Success presenter Jenny Adams on winning the 2014 Ms. 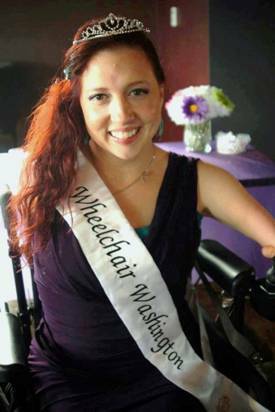 Wheelchair America pageant! A driven woman, Jenny has opened herself up and shared her experiences with so many to bring awareness and to inspire people of all abilities to shine on despite the hardships we face. Also crowned Ms. 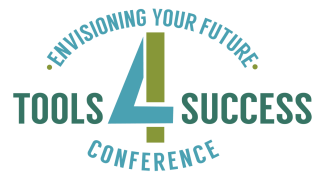 Wheelchair Washington 2013, Tools for Success is proud to have Jennifer Adams share her story and inspire us as a presenter at the conference. The mission of Ms. Wheelchair America is to provide an opportunity of achievement for women who happen to be wheelchair users to successfully educate and advocate for the more than 54 million Americans living with disabilities. Unlike traditional beauty pageants, Ms. Wheelchair America is not a contest to select the most attractive individual. It is instead a competition based on advocacy, achievement, communication and presentation to select the most accomplished and articulate spokeswoman for persons with disabilities. Thank you, Keynote Speaker, Jennifer Adams! 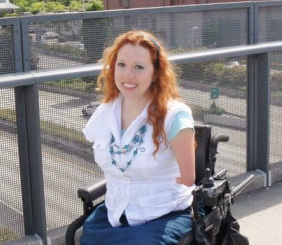 Jennifer was born with partial limbs and throughout her life she has struggled with the limitations that come with her disability. She does not consider her struggles a burden, but instead a gift, for she has had the privilege to learn that beyond our limitations is fulfillment and life’s purpose. Tele-communications, Radio Broadcasting, Public Speaking and Education. For the last two years Jennifer has been the Transition Coordinator at the Tacoma School of the Arts, offering career counseling to students with disabilities. She is also a singer/songwriter and has sung professionally for weddings, funerals, school functions, camps, churches and choirs. Jennifer has been a guest speaker at schools, churches, youth groups, camps and conferences in the greater Tacoma area. Through her education, work experience and life experience she is an expert in Diversity, Community, Counseling, Self-esteem and Personal Identity. The message that her story delivers is one that inspires others to overcome their limitations and live out their life’s purpose!